Having a “Best Metal Act” nomination from the Dallas Observer Music Awards in their back pocket, Fort Worth locals Bad Blood throw down a preemptive strike with the release of their latest EP, Bellicose. Following up their The Aggressor EP, released last July, the band is out to prove they’ve got enough angst, crushing riffs, and rumbling drums to get into the ring and push their competition to 12 rounds. We’ve covered a few Bad Blood shows in 2018 and each time they’re more ferocious than the last. Needless to say, we were stoked to hear they had a new EP. Opening track, “P.O.S.” starts with vocalist Talmage Crumholt asking, then screaming “are you ready for a war?” before the rest of the band jumps in at a breakneck pace. Shifts in tempo create a dynamic tension that propels the song forward as the band flirts with total freefall. “Hits” opens with a thick, doomy bass line before guitars enter and the song punches into a fast tempo assault as Crumholt pleads “open your soul!” This track highlights the atypical guitar playing of Tony Rendon. Rendon is more prone to create atmosphere, bend sound, or generate noise, than break out a masturbatory guitar solo. Indeed, this is a quality that has helped set the band apart from the rest of their peers. “Niller Driller” follows the path set forth on “Hits,” impossibly raising the level of vitriol and raw energy. Stephen Bonilla’s drums are a battering ram of aggression. When he’s locked in with bassist Dustin Mac Barnes, the pair anchor the songs while simultaneously pushing them to the brink of spontaneous combustion. “Chicken Nuggets,” a live favorite, is maybe the catchiest song on the 5-song collection and one that showcases the talents of each member of the band. Not unlike “P.O.S.,” the dynamics of the song are borne from taut guitar riffs and a rock solid rhythm section. “Cast into Fire” is the prefect closing track, maybe the strongest song on the EP. The song builds a sonic pressure that slowly culminates into an emotional resolve that is both compelling and totally satisfying. If the four preceding tracks didn’t hook you in, “Cast into Fire” will certainly do the trick. 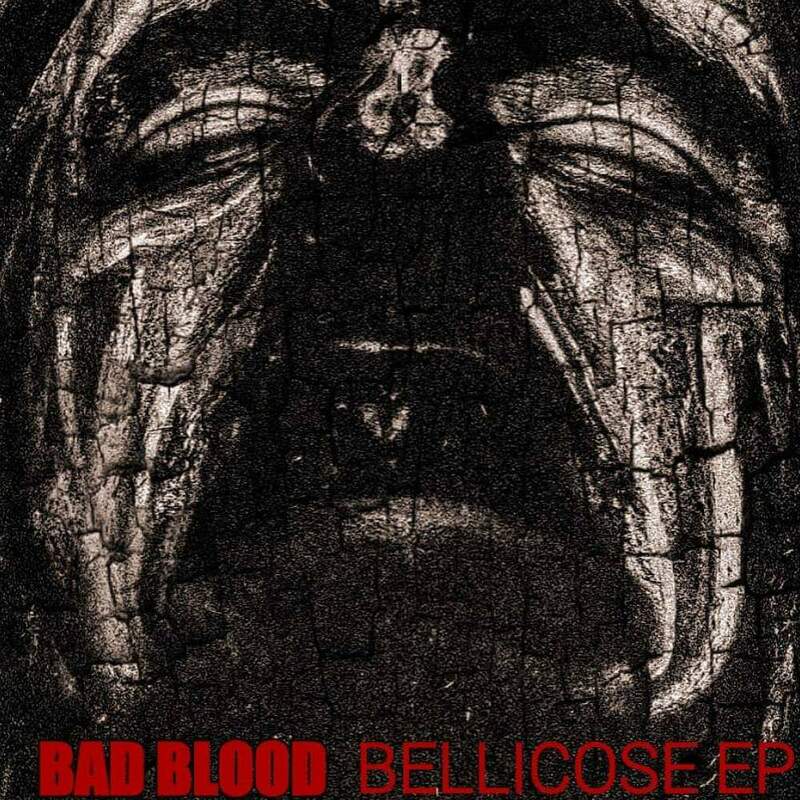 Bad Blood’s Bellicose is highly recommended to all metalheads, regardless of which sub-genre they most typically adore. The EP is a hard-charging collection of songs whose only intent is to tear out your spine and show it you. What else could a metalhead ask for? The band is playing Dec 1st at Reno’s in Dallas for the Dallas Observer Music Awards, Jan 5th at the Ridglea Room in Fort Worth, and Jan 26th opening for Soulfly at Gas Monkey Bar n’ Grill. Get out there and get wrecked.